Faculty of Electrical Engineering and Computer Science (IESC), building N, room Nii10 (2nd floor). 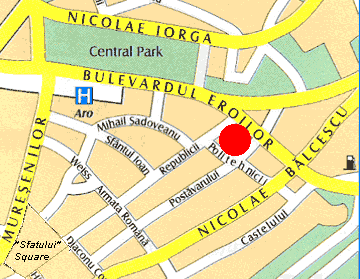 Address: Politehnicii 1, Brasov 500019. 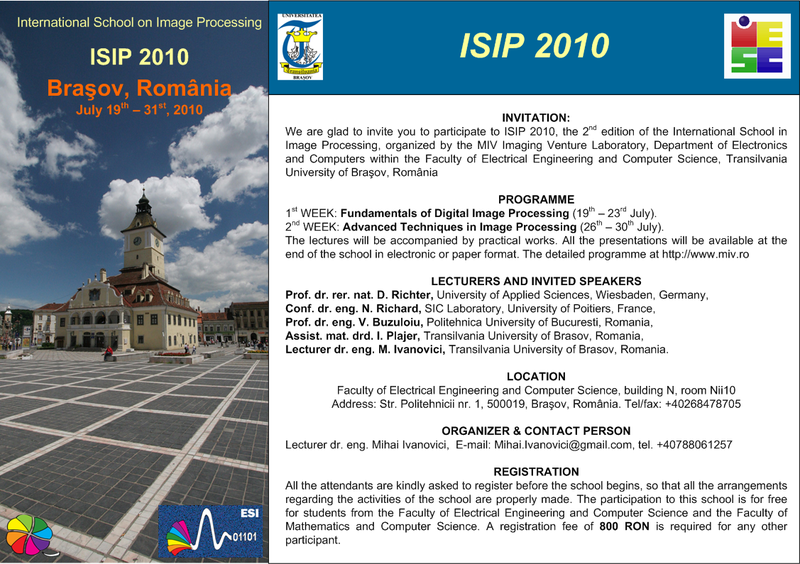 All the participants are kindly asked to register by sending an e-mail to the organizer (Mihai.Ivanovici (at) gmail.com) prior to the beginning of the school. Registration fee: 800 RON. 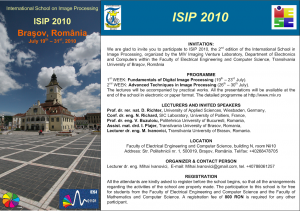 Free attendance for the students from the Faculty of Electrical Engineering and Computer Science (IESC) and Faculty of Mathematics and Computer Science within the Transilvania University of Brasov. Participants should have previously attended the following courses or at least to have some knowledge in the following fields: mathematics (statistics), algorithms & complexity, C/C++ programming, digital signal processing fundamentals. At the end of the school the participants will be required to pass a test consisting of questions and exercises related to the topics presented during the school. Based on the results of the test, the participants will receive certificates proving that they graduated this intensive course on image processing. The certificates will state the grade obtained by the participants, along with the curricula of the school and the name of the lecturers. The details concerning the room and the time intervals will be announced soon. 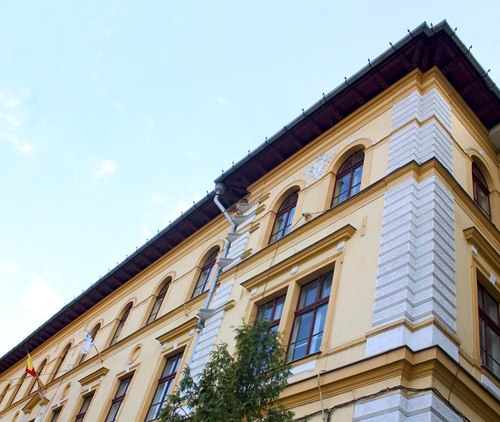 Preliminary schedule: lectures from 9 a.m. to 1 p.m. and practical works from 2 p.m. to 6 p.m.